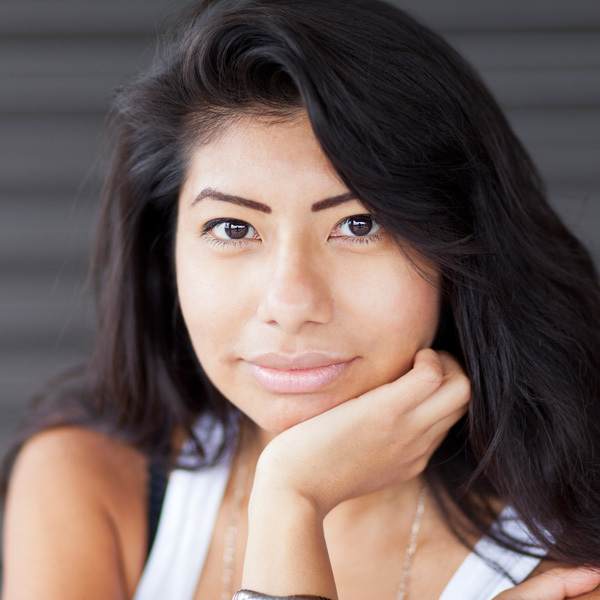 NeoStrata's facial chemical peel treatments are quick, in-office treatments. They're combined with NeoStrata home care products to stimulate skin renewal. Helping the skin to appear healthier, plumper and tighter with enhanced skin smoothness and clarity. NeoStrata's superficial peel treatments are quick, in-office procedures that are performed under the supervision of a physician. They are used in combination with NeoStrata home care products to stimulate skin renewal helping the skin to appear healthier, plumper and tighter with enhanced skin smoothness and clarity. NeoStrata professional products are uniquely formulated with alphahydroxyacids (AHAs), polyhydroxy acids (PHAs) and bionic acids to enhance therapeutic treatments and skin care recommended by physicians. These products are beneficial in helping to improve the visible signs of aging or sun damaged skin and for the adjunctive treatment of various dermatological conditions including acne, dry skin, hyperkeratoses and hyperpigmentation. Glycolic acid is one of the alpha-hydroxyacids (AHAs), a group of naturally occurring substances often referred to as "fruit acids" because they are found naturally in various fruits and other foods. In its natural state, glycolic acid is found in sugar cane juice. 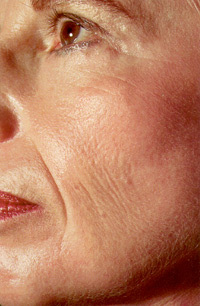 Leading dermatologists and plastic surgeons worldwide have long appreciated the positive results of AHA treatments. Numerous clinical publications have demonstrated their benefits in improving skin appearance and texture. 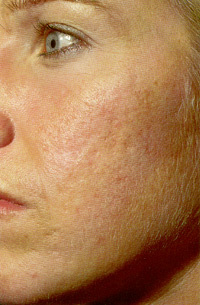 Improvements have been observed in patients with dry skin, oily and acne-prone skin, and with pigmentation concerns including age spots and melasma. Other commonly used chemical peeling agents include trichloroacetic acid (TCA), Jessner's solution, salicylic acid and phenol. 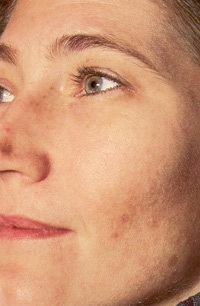 TCA, Jessner's and phenol are effective in a number of conditions requiring a medium to deep skin peel. They are, by their nature, toxic to cells, and usually require a longer skin recovery period compared to superficial AHA peels. 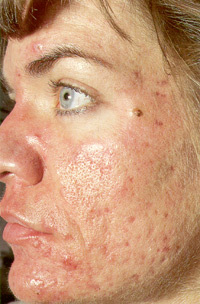 Salicylic acid peels are used to improve acne, but are not known to provide anti-aging benefits to skin. In your consultation, your doctor will recommend pretreatment with one of the NEOSTRATA® AHA products, Cream, Lotion or Gel. It is important to start using this NEOSTRATA® product as soon as it is recommended, usually at least two (2) weeks prior to your peel. Apply it once daily to start, then as your skin adapts to the treatment, apply it twice daily after cleansing. This will help prepare your skin for the glycolic acid peel treatment and detect any sensitivity that you may have to glycolic acid. Because it is possible for some other products and cosmetic practices to increase the reaction of your skin to glycolic acid, you may be asked to slightly change your usual skin care routine one week before a peel. Come to Crutchfield Dermatology with a fully cleansed face. If possible, no makeup, cologne or after shave should be applied, and you should avoid shaving areas to be peeled. If you have accidentally used one of the restricted products or procedures, such as hair dye or an exfoliating sponge, in the past few days, it is important to let us know. Your peel treatment might be rescheduled to prevent an unanticipated deepening of the peel, since your skin may be more sensitive than your doctor expected. stinging, itching, burning, mild pain or discomfort, tightness, sun sensitivity, and peeling of the superficial layer of the skin. 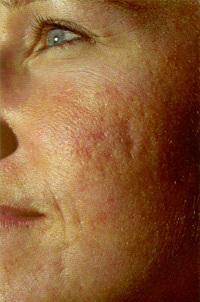 Infrequently, swelling occurs; ice water compresses intermittently for 24 to 48 hours will diminish this. Analgesics can be used to treat any mild pain. 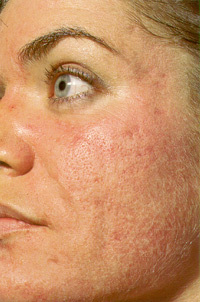 Any changes in skin pigmentation, or uncomfortable irritation should be reported to your physician's office right away. 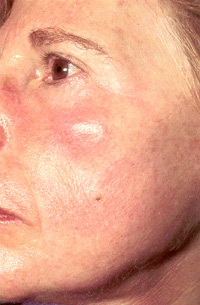 (3) an acne-like inflammation around the mouth (called peri-oral dermatitis). 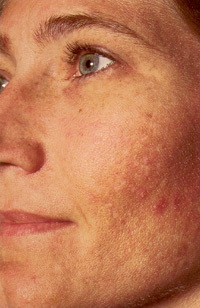 Some patients may experience transient spots of hyper- or hypopigmentation (coloration or discoloration) after a glycolic acid peel procedure. If these conditions are left untreated, they usually resolve themselves. 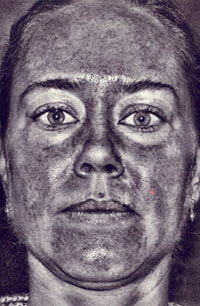 However, you should inform us if you develop changes in skin coloration. moderate to severe redness and peeling, swelling, light scabbing, post inflammatory hypo- or hyperpigmentation, scarring, risk of infection, sun sensitivity, and skin sensitivity/irritation. Apply the NEOSTRATA® Post Peel Nutricream or the Bionic Cream twice daily for two (2) to seven (7) days until the skin appearance returns to near "normal". Then return to your pretreatment schedule of applying your NEOSTRATA® Cream, Lotion or Gel. Wash the treated areas very gently using a gentle, soap-free cleanser, avoiding the use of abrasive or exfoliation sponges. If your skin is very sensitive, avoid the use of makeup for up to a week. If you have little skin sensitivity, you can apply makeup without a wait. 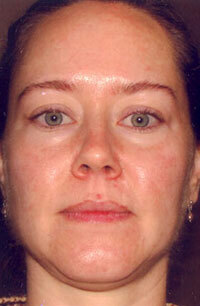 Avoid use of products that may be irritating (AHAs, salicylic acid, retinoids) until skin has fully healed. 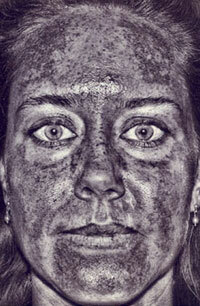 Avoid sun exposure, artificial tanning devices and direct heat sources. 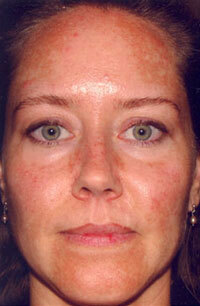 Use a broad spectrum sunscreen beginning the day after the peel procedure or as soon as you can tolerate it. To avoid the possibility of scarring, please DO NOT: Peel the skin, Expose the skin to sun or sun lamps, Pick the skin, Use a mask on the skin, Scrape the skin, Wear tight fitting hats or headbands on the treated area(s) Scratch the skin, area. Call your doctor if you have any concerns or questions, or if your skin is unusually uncomfortable, irritated, or lighter/darker in color. If you have little discomfort with the peel treatment, and a limited shedding/peeling of the surface skin a second peel can be done two weeks later. If you have greater discomfort and skin shedding/peeling with the peel treatment, we'll probably recommend four to six weeks between peel treatments. The NEOSTRATA® Skin Rejuvenation System was created to allow flexibility in the timing of the peel treatments, for you to proceed at a comfortable rate of skin improvement. Great overall experience! Wonderful staff and worth the wait. I received very good and excellent treatment. I feel great! Thank you! I wanted to thank you and your clinic for the service and care that you provided me. My decision to see a dermatologost was mainly career driven. I saw it as an investment to feel more confident in meetings and interviews. Well, it seems the treatment plan including the Aramis Laser may have paid off. My skin feels and looks better than I can remember in a long time. Due in no small part to your efforts. I wanted you to know that you should be proud of the work you do and that you make a difference in people's lives.